Here’s to life…in all of its pain, its beauty, and its color. 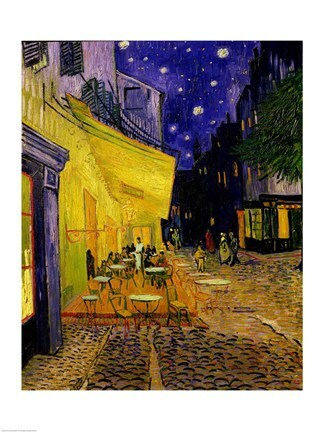 A Dr. Who episode, “Vincent and The Doctor,” brought Van Gogh and his vibrant paintings (like the ones below), to life. It is a beautiful, sci-fi treatment of, and homage to, a sensitive soul, his life, his work, and his posthumous fame. Remembering Vincent today, on his birthday…..born March 30, 1853. Touch the stars! Van Gogh: Hold my hand, Doctor. Try to see what I see. We’re so lucky we’re still alive to see this beautiful world. Look at the sky. It’s not dark and black and without character. The black is in fact deep blue. And over there! Lights are blue. And blue in through the blueness, and the blackness, the winds swirling through the air… and then shining. Burning, bursting through! The stars, can you see how they roll their light? Everywhere we look, complex magic of nature blazes before our eyes. The Doctor: I’ve seen many things, my friend. But you’re right. Nothing’s quite as wonderful as the things you see. Yes, yes it was, Dilip. Can You Feel the Silence?